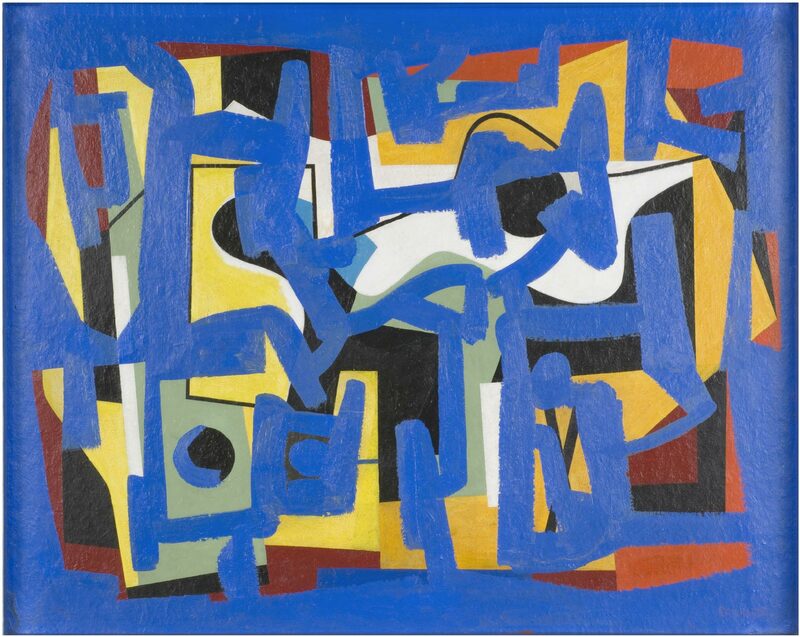 A major transition in Reinhardt’s painting style occurred around 1940, when he began experimenting with collage. The artist stated, “collage, with its spontaneous and accidental aspects, along with the perfectly controlled is an important medium for me.” During this time, his early Cubist paintings gave way to works with a looser, more unstructured approach. This shift is especially evident here—the surface of an earlier abstract composition was painted over in broad, gestural, yet ultimately controlled brushstrokes of blue paint.